If your smile isn’t what you want it to be, consider restorative dentistry with Robert F. Wilcox, DMD, PC, located in Butte, Montana. Whether you’re suffering from tooth decay or your child has fallen and chipped a tooth, Dr. Wilcox and his compassionate team offer a wide variety of solutions. Are you ready to fix your smile? If so, call or book an appointment online today. Restorative dentistry is a type of dentistry focused on returning your smile, teeth, and gums to their optimal appearance and health. When you visit your dentist for restorative dentistry, they’ll also check your smile in order to prevent, detect, and treat oral diseases like periodontitis. You may require this type of dental care if you’ve recently experienced an accident that caused trauma, or if you’re suffering from tooth decay or the effects of oral diseases. Examples of restorative dentistry procedures and solutions include bonding, veneers, ceramic crowns, tooth colored fillings, dental implants, dentures, and more. How can I fix missing teeth? If you have missing teeth, restorative dentistry offers you a variety of options, including dentures, dental implants, and ceramic crowns. The choice of which depends on your oral health, and the state of your gums and surrounding teeth. After a comprehensive oral exam is performed and diagnostic x-rays are taken, Dr. Wilcox will create a few treatment plan options that could work best for you. Together you’ll come up with your ideal plan. Veneers are tooth-colored materials that dentists cement or bond over existing teeth in order to improve their appearance. They’re the perfect way to eliminate unsightly, cracked, uneven, or chipped front teeth without removing them or covering them with a crown, which involves a more extensive procedure. If you’re looking for a quicker or more economical solution, consider tooth bonding. Bonding creates the same effect as veneers, but it costs less and it can be done in just one visit. During tooth bonding, Dr. Wilcox applies a composite, tooth-colored resin to the teeth, which he then shapes and polishes to match the surrounding teeth. Crowns, also known as caps, are restorative materials that permanently and completely cover a damaged or decayed tooth. Think of them as baseball caps covering a bald spot or a bad hair day. For a natural look and a lasting restoration, Dr. Wilcox uses ceramic crown materials. If a few teeth in succession need to be replaced or you’re missing a tooth altogether, dentists often place crowns in conjunction with bridges. A bridge most commonly consists of a crown atop an existing tooth, a ceramic tooth that “bridges” or fills the gap of a missing tooth, and another crown atop an existing tooth. Crowns, on one or both sides of the bridge tooth, help support it to withstand chewing, talking, and everyday function. Fillings are materials that dentists use to fill in damaged areas in the tooth, like cavities, where bacteria can enter and wreak havoc. They’re safe for both adults and children. 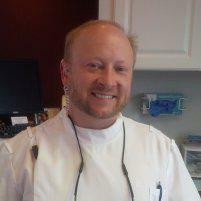 Dr. Wilcox offers tooth-colored fillings that blend in well with your smile. With his gentle and compassionate approach, Dr. Wilcox makes a filling procedure as comfortable, painless, and effective as possible. If you’re ready to take back your smile, don’t wait to schedule an appointment at Robert F. Wilcox, DMD, PC. Reach out today over the phone or online via the online booking tool.